W2 Hyde Park Dry & Steam Carpet Cleaning Services | RDA Cleaning & Maintenance Ltd.
Our home & office carpet cleaning company Hyde Park W2 does not only have the right equipment and the best sanitizing products on the market. We also guarantee you special attention to details, hassle-free and insured service and gentle attitude to each customer. Prices are affordable and the services we provide always first-class! Our diligent carpet cleaners are well-trained and skilful to deal with any dirty carpet and with any stubborn stain. 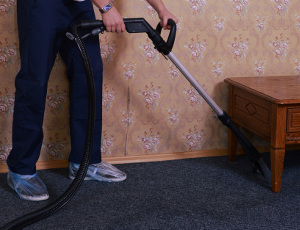 Our carpet cleaners Hyde Park W2 would first hover the entire surface of the carpet. This way they remove the bigger contaminants that will otherwise be in the way. The next step is inspecting the fabrics of the carpet in order to determine exactly what kind of detergent must be used. When that is done the pre-treatment of all the high traffic areas, dirt patches and stains with the proper detergents is being done. After the pre-treatment, a special absorbing powder is being equally dispatched on the surface of the carpet. Then a special machine with lots of brushes is being used to scrub the powder deep into the carpet where it combines with the detergent, dirt and grime. Finally, the carpet is completely vacuumed and the procedure is complete. Are you in need of professional carpet cleaning Hyde Park W2 company? We are the right service provider for you. The fastest way to book us is by calling 020 3404 1646. Our 24/7 customer support team will handle your order and give you advice on any issues you have as well as give recommendations on the proper treatment for your case. We work on weekends and bank holidays free of additional charge, and accommodate both businesses and homes all over London.